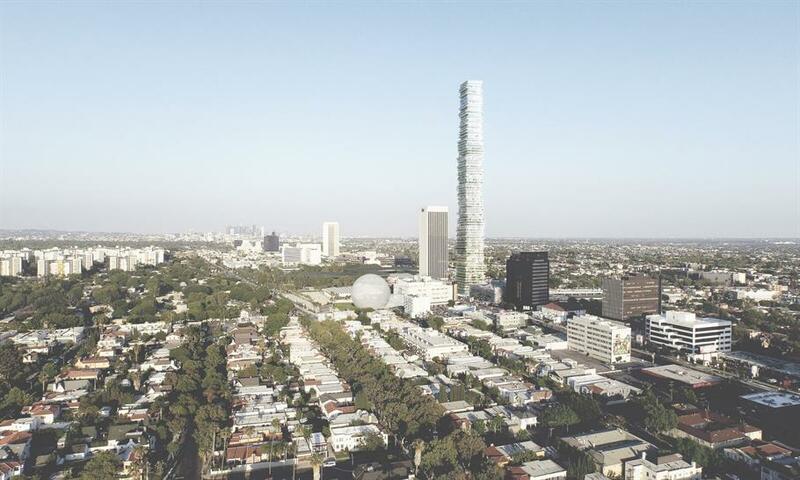 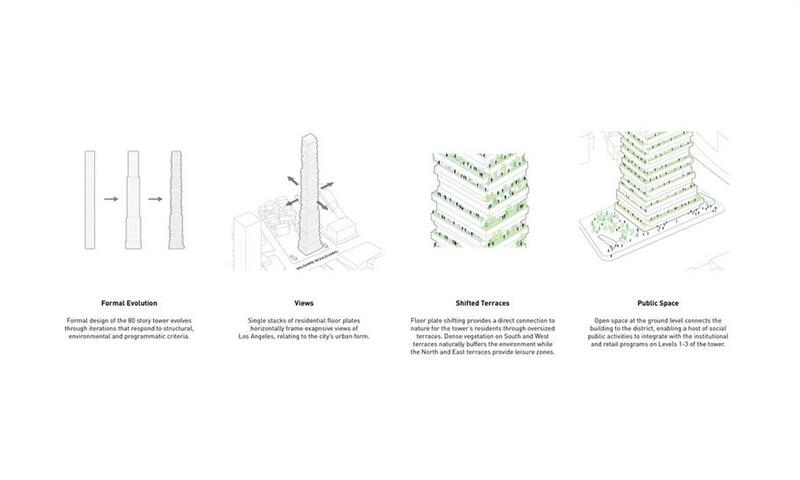 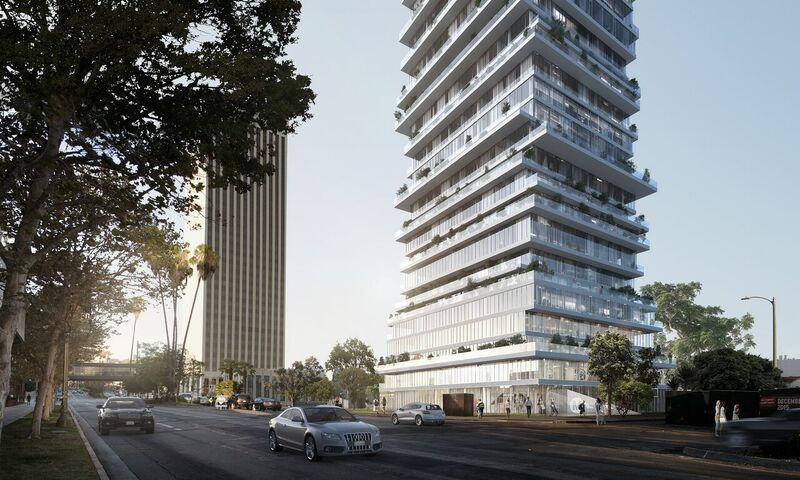 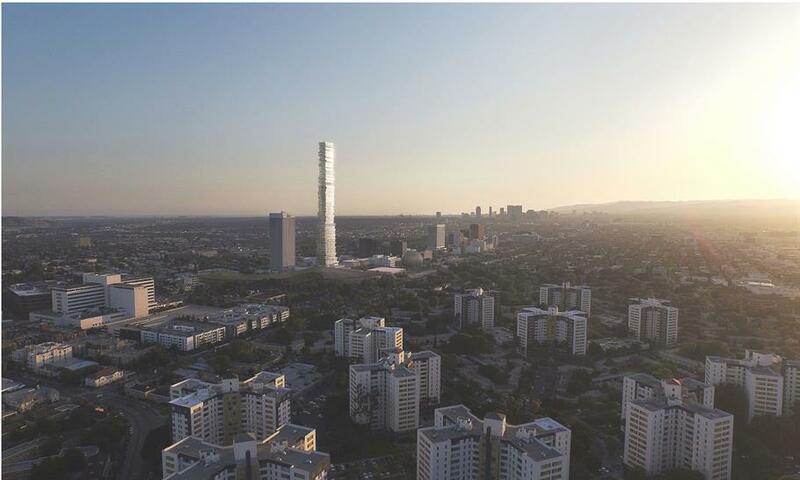 Rethinking how people live in Los Angeles, USA, PAR proposes a new model of high-rise courtyard housing, integrated with mass transit, on Los Angeles County Museum of Art’s (LACMA) proposed tower site on Wilshire Boulevard. 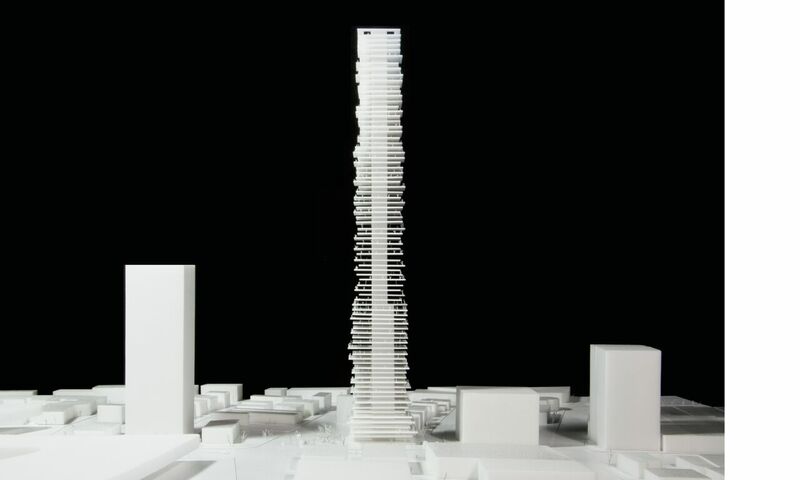 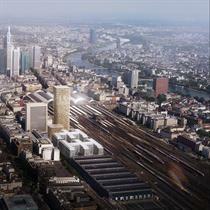 The tower typology, an important element in the contemporary metropolis, has become anonymous, defined mainly by its height. 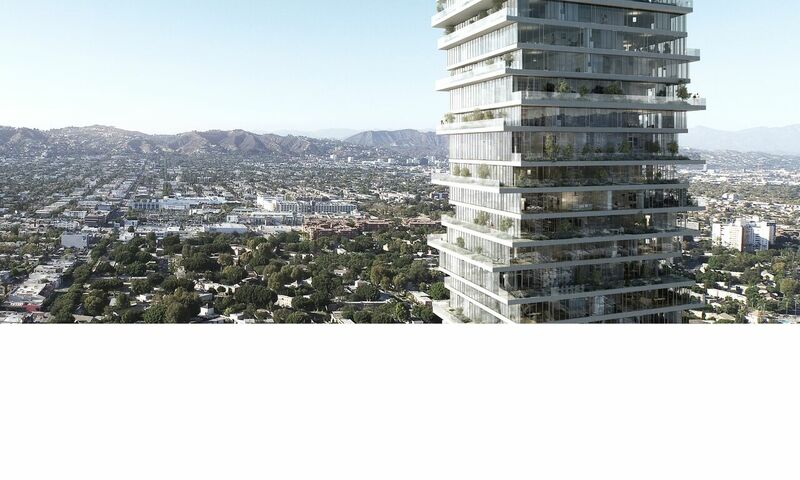 Typical residential skyscrapers, while successfully providing density, rarely produce unique living environments with access to green space, qualities that are emblematic of Los Angeles living. PAR's proposal, completed in close collaboration with Buro Happold, acts against this endemic monotony, creating a 930 foot tall stack of individual houses, each with a direct connection to nature through oversized terraces, some containing common spaces and leisure zones. The Wilshire Tower proposal recently opened at the LA A+D Museum, for the exhibition Shelter: Rethinking how we live in Los Angeles.